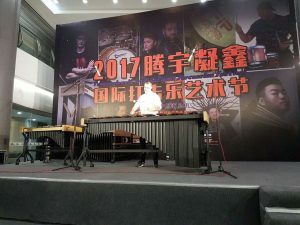 During the first Percussion Festival in Beijing China Vancore presented a whole range of mallet instruments. This Festival took place from 30th October until November 1st. The instruments were played through Vancore’ s latest endorser Tobias Messerschmitt in different Concerts and Masterclasses. Vancore Made in Holland presented and played all around the Globe.